Steve Balich Editors note: Catholic Charities, Lutheran Caharites and other religious charities are getting millions of Federal dollars to illegally help these illegals come here. 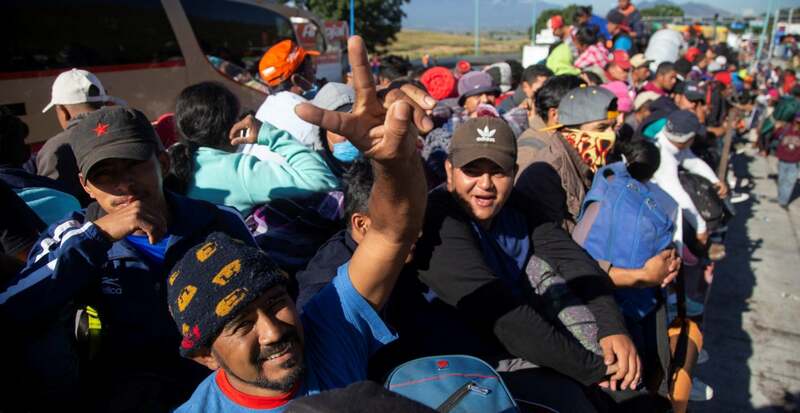 Media reports estimated that 4,000 to 5,000 migrants are heading toward the U.S.-Mexico border. In mid-November, dozens of migrants began arriving by busnear the U.S. border in Tijuana, some climbing the fencing. In the days since, hundreds of migrants have overwhelmed that city’s resources. Mujica, a Phoenix resident who is a dual citizen of Mexico and the U.S., is director of People Without Borders in Mexico. Last month, Mexican officialsarrested Mujica in Ciudad Hidalgo, a town in the southern part of the country. He was accused of property damage and resisting arrest, according to media reports. In 2006, the church provided sanctuary for a year to an illegal immigrant. She was arrested when she left the church and reportedly continues to advocatefrom Mexico for changes to U.S. immigration law.